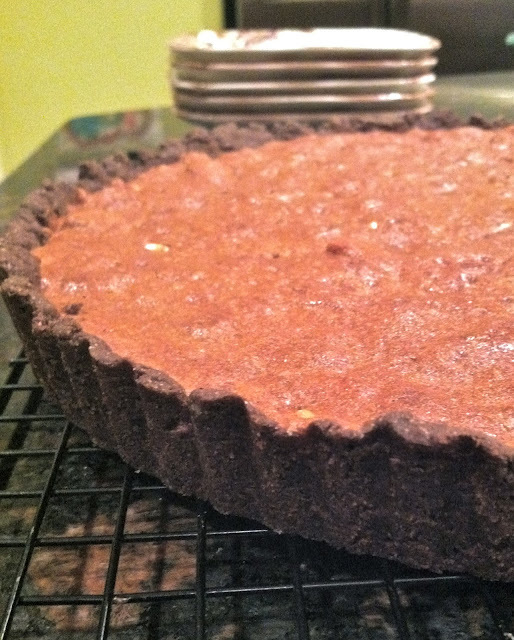 Instead of six mini tartlets I made one large chocolate tart simply because I only have one large tart pan. Even though there were several steps in making this recipe, overall I thought it was easy to make. 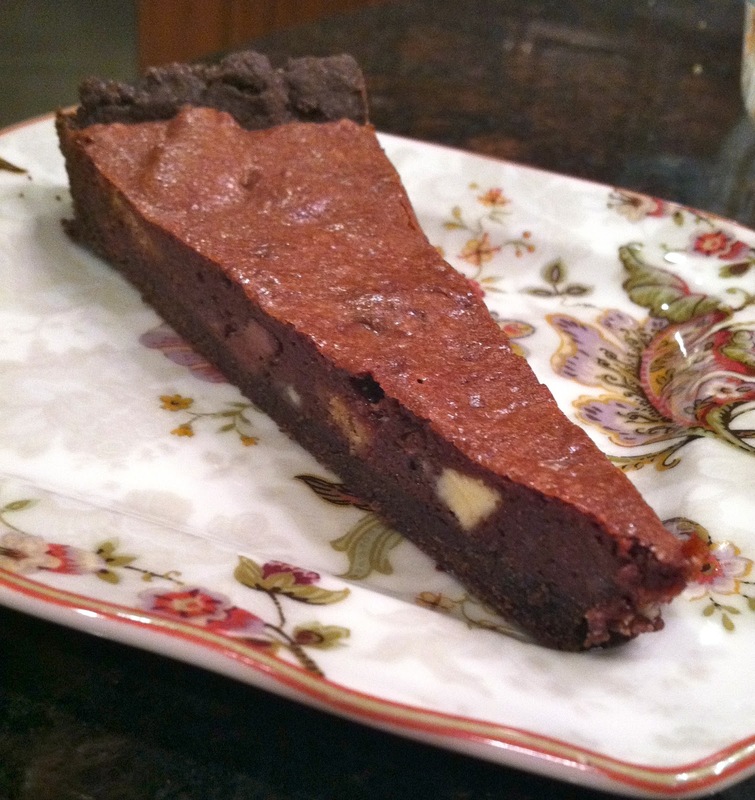 Studded with chunks of white chocolate, milk chocolate and crumbled cookies (I successfully substituted Pepperidge Farm Bordeaux cookies for the biscotti due to nut allergies), this elegant dessert tastes like a very sophisticated brownie. Pop over here to get the entire recipe for yourself! Your tart is gorgeous. I also made one large tart...it allowed everyone to have just a small serving. Very rich, but delicious. That's a clever substitution for the biscotti. I love the plate that showcases the slice of tart! Very nice! It looks so thick and fudgy inside.